There are almost as many different fine wine enthusiasts as there are vintages of wine. Just as we can group those vintages into larger families, so do wine collectors fall into one of several types: the investor, the collector, and the casual hobbyist. While the intent of and level of dedication to their collection vary, they are united in the need to adequately store and protect the bottles they’ve gathered. If you find yourself getting misty-eyed over a Merlot, it is a fair bet you fall into one of these categories. There is a lot of myth and misinformation (mythinformation?) on the internet about the proper way to take care of your bottles. Here are some tried and true pointers to get you started. While this may seem like a little much if you’re a casual wine enthusiast, you will find it helpful while everyone else will find it downright essential. While some still use a traditional notebook, I recommend making full use of today’s technology. There are many apps and programs available to help you inventory and track your bottles. You will want to keep a full accounting of your bottles to help fill in gaps by diversifying your collection, or to avoid over-collecting a specific vintage or type. Many of these logs will also let you make notes, mark favorites, and even track value. There is an ongoing debate as to whether it is best to store your bottle standing or lying down. While we’re unlikely to settle a battle that has been waged for centuries, consider this: A dry cork is more likely to allow air into the bottle, and air is not your wine’s friend. By laying the bottle on its side, the cork remains moist and expanded to prevent leakage. There’s a reason we use wine cellars and not wine patios. Light, even natural light, can degrade wine quickly. If you don’t have an actual cellar, that’s fine. The main requirement is someplace that is climate controlled and enclosed with lights that can be turned off when not in use. Temperature, historically, went hand-in-hand with those dark cellars. For the best wine maturation, you need to maintain the appropriately cool temperatures that allow their flavors to flourish while stopping unwanted chemical reactions. Even with a dedicated wine cellar, many expert enthusiasts are turning to wine coolers as a way to fine-tune their wine conditions. Specialized wine refrigerators, such as those made by KingsBottle, have state of the art temperature controls combined with high-efficiency compressors to give your collection the perfect environment. 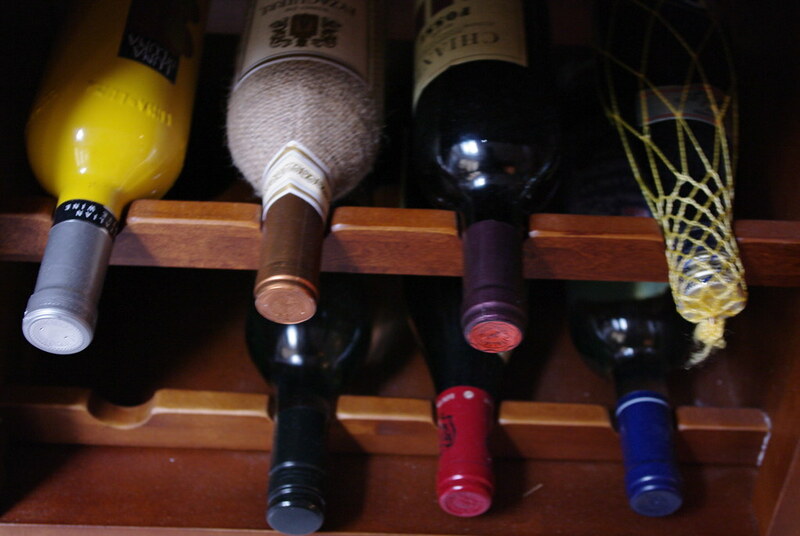 The number one influence over the proper safety and maintenance of your wine collection is you. You’ve made a great start! Obviously, you’re interested in doing what’s best to give you and your guests the best wine experience you can. A single blog post won’t get the job done by itself, though. I strongly encourage you to explore the world of wine. If there are no classes available locally, Wine Spectator offers an online school to expand your wine IQ. With proper care and attention, wine collecting is a hobby that gets better with age. Whatever the purpose of your collection, by following these few, relatively simple steps you can ensure the quality of your bottles. Happy collecting! Carolyn Clarke has been writing about food, wine, and everything nice for over 10 years. A native of Southern California, when she’s not investigating the latest in food culture, you can find her hiking one of the many beautiful trails near her home with her Golden Retriever, Leo.